Debt affects us in many ways. Beyond the damage done to our credit and finances, debt impacts us emotionally, mentally, and even physically. Debt can feel like quicksand; despite struggling to get free, we continue to sink. It’s critical to act quickly and find a debt solution that will work for you. 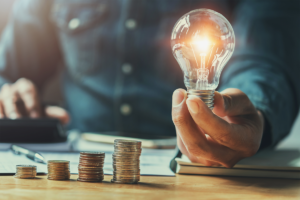 There are a number of debt solutions out there, but the average Canadian might not have the financial expertise to wade through the options and choose the one that best fits. This section will help you determine the best option for your individual situation. Here, you can get a simple, honest look at all of the debt solutions available to Canadians. If you are still having difficulty choosing the correct path, our trained credit counsellors are waiting to answer your questions at 1-888-294-3130. If you prefer contacting us online, try our Free Debt Analysis and a counsellor will reach out to you shortly. Ideally, you want to have practices in place to help keep your finances under control. Careful budgeting will allow you to meet all your monthly expenses, while still being able to service your debts without sacrificing other necessary spending. Canadian Spending Statistics: How Do You Compare? Click here for a range of free calculators that can help you better understand your financial situation. If you are unable to solve debt on your own, you should consider contacting a trained credit counsellor. Credit counsellors are experts at analyzing your unique financial situation and offering sound advice on your best options. What is Credit Counselling and How can it Help You? 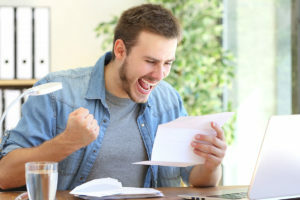 Depending on your unique financial situation, your credit counsellor may recommend a Debt Management Program (DMP), which is designed to help you pay back all of your debts in a way that is manageable. How Much Could You Save with a DMP? What’s the Difference Between Debt Management, Debt Settlement, Bankruptcy, and Debt Consolidation Loans? If you start to struggle with credit card debt payments and other unsecured debts, you should consider consolidating your loans. You can roll all of your debt obligations into one payment at a lower interest rate. There are a series of rights and laws around debts and payment collection, but sometimes creditors and lenders fail to follow the law by the letter. Knowing your rights will protect your best interests when dealing with creditors and collections agencies. When none of your options are working and you cannot repay your debt, there are still other paths to becoming debt free. Your credit may be damaged, but it may be worth it for a fresh start. Is it Time to Consider Bankruptcy?